RANDY OLSON, a Computer Science & Engineering Ph.D. candidate at Michigan State University, is a man who likes to design road trips. He has previously organized the ultimate US road trip and the best cross-Canada journey and, this time, Olson created an itinerary that would allow travelers to see every single national park in the 48 contiguous states without wasting any time. The road trip Olson designed is 14,498 mile-long and it would take you about two months to complete the loop if you are going “at a breakneck speed”. In other words, you’d better take a few months off work before getting on the road. Here is a list of all the national parks Olson included in his itinerary. Note that you can start the trip at any stop in the loop. 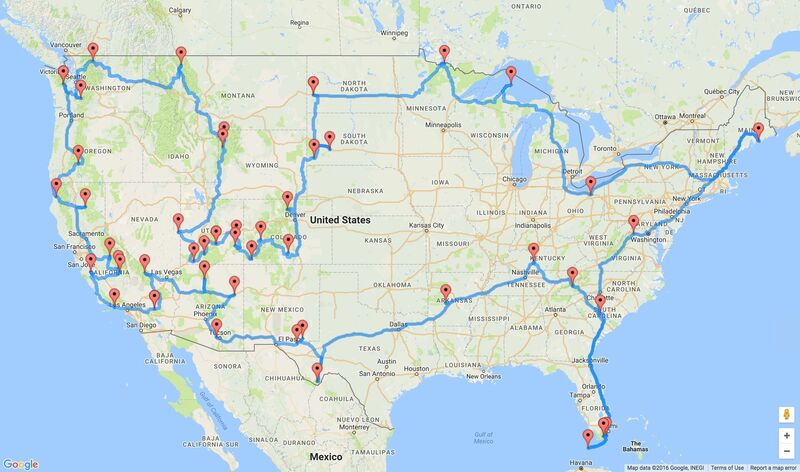 If you don’t have the time to complete the full loop and want to stick to touring one state only, Matador Network’s got you covered! To know more about this particular itinerary and Olson’s research, visit his website here.